The School of Health Sciences aims to provide quality education for both the current and future healthcare workforce thereby improving the experience for people and their families who may now, and in the future, require help from Allied Health Professionals (AHPs). We provide programmes of study and research opportunities by a diversity of means.This course offers Continual Professional Development (CPD) for AHPs. The School’s innovative and highly reputable CPD provision responds to the needs of all stages of the UK and Ireland’s AHP career frameworks. 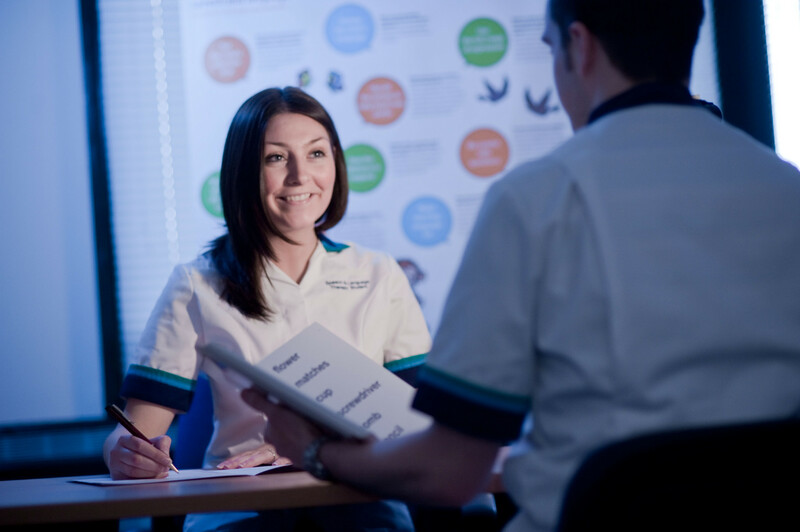 Our postgraduate programme enables AHPs to focus on their chosen specialism (diagnostic radiography, occupational therapy, physiotherapy, podiatry, speech and language therapy, therapeutic radiography). The content of the course is directly relevant to AHPs working in an ever-developing workforce. The material is produced and delivered by teaching staff, national and international experts in the subject areas. The masters programme has been produced with clearly identified, efficient, processes for applicants to engage with short courses, and to facilitate students to move on to award programmes, using flexible but clear module opportunities to build up to the Postgraduate Certificate/Postgraduate Diploma/Masters awards. This course is designed to enable students to undertake a Postgraduate Certificate/Diploma/MSc: a student initially registers for a Postgraduate Certificate and on completion of this may either exit with the award or progress to Diploma level. On completion of the Diploma they may choose to exit or transfer to the Masters level. Please also note that there are compulsory modules associated with the Postgraduate Diploma and Masters and that awards should normally be completed within 5 years. Modules may also be taken as stand alone i.e. without registration for an award. Free selection of modules from course list up to 60 credit points. The part-time MSc programme is normally six semesters completed over 2-4 academic years. However students may opt to exit with a Postgraduate Certificate (60 credit points) after 1-2 years or a Postgraduate Diploma (120 points) after 2-3 years. In order to facilitate student attendance many of the modules involve on average 3-6 days attendance per module, these may be delivered in one block or in two shorter blocks of attendance during the semester. Some modules may require longer attendance due to professional body requirements and/or HCPC regulations. Each module coordinator will be able to advise on the expected attendance. Several modules are taught through the online environment and where these modules do not require attendance, students are expected to regularly participate in the online learning environment. This module will deliver and review the modern cancer care management agenda. It will explore the prevention, epidemiology, pathogenesis and treatment of common cancers and evaluate the role of therapists in cancer integrated care pathways. This module will enable students to critically analyse and synthesis knowledge and theory with the application of their professional skills to enhance their clinical reasoning skills in the management of complex problems in relation to palliative care for people with long term conditions. This research informed, evidence based module provides the underpinning knowledge to analyse, interpret and diagnosis of a range of cardiac rhythm conditions. The aims of this module are to develop the theoretical knowledge and practical skills required to perform cardiac ultrasound, analyse data obtained and interpret indices for a range of cardiac conditions. This module underpins Cardiac Rhythm Management. It will provide trainees with the knowledge, understanding and practical skills to safely contribute to the diagnosis and treatment of patients with implanted cardiac devices and management of abnormalities of cardiac rhythm. This module is aimed to at those individuals working to support people living with acute and also enduring mental health issues. This is a foundational model on key topics in mental health, including aetiology and strategies for the promotion, prevention, treatment and recovery of common mental health disorders. The purpose of this module is to enable you to develop your understanding and skills around learning and teaching in practice. The module will provide you with opportunity to construct professional knowledge about the fundamental principles of learning, teaching and assessing and directly impact upon how you use these skills to develop learning activities in your practice. This module aims to advance participants' knowledge of key issues relating to re-ablement and rehabilitation of clients with a range of long term conditions. It is designed for those delivering re-ablement and community rehabilitation services who are responsible for the supervision of support workers in this area. This module is suitable for people working in healthcare who are interested to understand yoga as a healthcare intervention. The module will enhance knowledge and understanding of yoga, facilitate exploration of the evidence base emerging in western cultures and enable the participant to develop a personal practice. This is not a yoga teacher training module. This module provides the opportunity for practitioners who undertake the role of practice educator, facilitating students' learning on practice placements, to develop their understanding of effective learning and teaching in practice settings. It enables participants to develop and enhance their skills in practice-based learning, teaching and assessment, to reflect critically on their own experience as a learner, a practitioner and an educator, and to identify aspects of their own practice that could be developed and/or improved. This module provides the opportunity for practitioners who undertake an educational role, facilitating others' learning in the practice setting, to develop their understanding of effective learning and teaching. It enables participants to develop and enhance their skills in practice-based learning, teaching and assessment. It provides the opportunity for participants to reflect critically on their own experience as a learner, a practitioner and an educator, and to identify aspects of their own practice that could be developed and/or improved. This module gives the student the opportunity to enhance their clinical reasoning skills in determining the optimal seating and positioning strategies for clients with complex disability. It provides opportunities for participants to reflect critically on their own experience as a practitioner and the skills to complete a comprehensive client-centred seating and postural assessment. This module will increase knowledge and understanding of the integration of commercially available information and communication technologies into health and social care. Consideration of the design, procurement, installation and maintenance of systems for a range of service users will be explored. From a practice perspective assessment tools, outcome measures and ethical aspects of service delivery will also be investigated. This module provides an opportunity for participants to further their reflective practitioner skills. It also facilitates the development of expertise in completing thorough pressure ulcer assessments, understanding the underlying reasons for clinical presentation, and making competent evidence based decisions for client-centred interventions. This module assists the student to develop expertise in completing a comprehensive assessment, understanding the impact of various factors and legislation, and in making competent evidence-based decisions to achieve a client-centred wheelchair mobility solution. Additionally it provides the opportunity for students to further their reflective practitioner skills. Recent advances in neuroscience support the application of the theory of Sensory Integration (SI) as a treatment approach. It will be centred around the perspectives of people who live with sensory integration difficulties. It will equip students with the knowledge required to apply current theories to their everyday practice. It will provide therapists with a theoretical basis for the management of people with sensory processing disorders and will enable therapists to further enhance their skills in reviewing evidence to inform practice. Students will learn to synthesise, analyse and interpret assessment data and articulate clear reasoning related to their hypothesis of the sensory integration difficulty. They will learn key concepts of ASI, exploring the patterns of SI dysfunction, models of SI, principles and practice of assessment, clinical reasoning, synthesising the assessment data and the process of interpretation of assessment, drawing on a range of assessment tools. Sensory Integration 3 allows successful students to provide sensory integration interventions to people in a range of different settings and across the lifespan. Students will be able to negotiate and set appropriate goals, which reflect both the client's priorities and their sensory processing and integration needs. By the end of Sensory Integration 3, students' knowledge and skills will cohere with those identified at practitioner level in the proposed International Council for Ayres Sensory Integration (ICEASI) framework, and will be entitled to use the title SI Practitioner, awarded by Sensory Integration Education. This module will take clinicians forward from the interpretive skills they acquired in earlier modules, to enable clinicians to interact with advanced applied neuroscience, confidently disseminate and share their assessment and research findings with a wider audience, and be an agent of change understanding service-level system change methods. This module provides health professionals the opportunity to explore mindfulness, gaining advanced knowledge and understanding for the delivery of evidence-based therapeutic intervention. Additionally, for use as a self-management tool in reducing work related stress and compassion fatigue. This module provides the necessary pharmacological knowledge within the context of the underpinning pathophysiology that will enable the healthcare professional to prescribe safely, appropriately, and effectively within a collaborative health care team. It will be offered through a blended combination of e-learning, taught components and threaded discussion with supported group work. Assessment is by a combination of coursework and a synoptic examination. This module will prepare Allied Health Professionals to undertake an active role in non medical prescribing within their specified area of practice. The legislative framework and professional and ethical principles, which underpin prescribing practice, are explored. This module will provide clinicians with an advanced theoretical basis for the management of people with arterial and venous disorders that affect the lower limb. It is designed for clinicians with experience in the care and management of the patient with peripheral vascular disease and will facilitate clinicians to become suitably equipped to implement theory into practice and provide the scope required for those wishing to hold specialist posts. This module enables students to update and extend their knowledge of renal disease and the lower limb. It also allows students to appreciate the outcomes realized in patients with limb compromise due to renal disease are managed with a comprehensive approach integrating the efforts of the renal specialist team , as well as other members of a multi-disciplinary team. This training will produce clinicians who are suitably equipped to implement theory into practice and provide the scope required for those wishing to hold specialist posts. This module will develop the students' awareness and understanding of current concepts in lower limb and foot biomechanics. Functional anatomy and the pathophysiology of pain will also be explored. Students' skills in the assessment of bone and soft tissue injury of the foot and lower limb will be developed and the relationship between injury and gait compensation mechanisms will be examined. Critical self-reflection of practice is an expectation of students at this level and this is reflected in the delivery and assessment of the module. This module will provide students, who have experience in the care and management of the patient with various Rheumatological disorders, with the specialist theoretical knowledge and clinical skills to assess the person with Rheumatological disorders of the lower limb. It will help students to identify and formulate care plans for this group of patients with emphasis on multidisciplinary teamwork and timely specialist referral. This module will provide the opportunity to discuss current clinical management principles and philosophy for professionals treating patients with biomechanical pathologies. The module will enable current management models to be analysed as well as allowing trends in research and clinical practice to be explored. A working knowledge of wound healing is essential in modern clinical practice. This module will provide clinicians with an advanced theoretical basis which will enable them to provide high quality, cost effective wound care as this module will emphasise preventative and pro-active assessment and care of wounds specific to the foot and consider both the current and future trends in the care of these patients. This module will provide clinicians with an advanced theoretical basis which will enable them to understand and explore in greater depth some of the areas of the highly complex areas of the normal and abnormal wound healing processes. This module provides an examination of current evidence for the management and prevention of diabetic foot complications in the light of a growing body of literature of National and International Guidelines. Students' knowledge and skills in the assessment of the diabetic foot and lower limb will be developed and the relationships between the triad of diabetic foot disease (ischaemia, neuropathy and infection) will be examined in detail and the current evidence relating to management discussed. In order to provide optimal care to the patient with diabetes and concomitant lower limb disease it is essential that professionals working in the field are proficient in a wide range of assessment and monitoring skills. This module will provide participants with the advanced theoretical knowledge necessary to assess on-going pathophysiological disease processes (radiological, neurological, vascular, microbiological and haematological) in the person with diabetes admitted to hospital with concomitant lower limb pathology. A working knowledge of infection is essential in management of diabetic foot disease. This module will provide clinicians with the information required to make an informed timely diagnosis of diabetic foot infections and the principals involved in managing them as part of a multidisciplinary team. The 30 credit point module is formed on advancing participants' knowledge of physiology relating to airway clearance techniques, proficiency in using these techniques and knowledge of the scientific evidence supporting the use of these airway clearance techniques. This module aims to advance participants' knowledge of key issues relating to pulmonary rehabilitation, physical activity and disease management in patients with respiratory conditions. It is designed for those involved in the management of people with respiratory conditions. It is designed for those involved in the management of people with respiratory conditions. Exercise and lifestyle prescription and evaluation in rehabilitation is an essential skill for the health care professional. This module will introduce the student to different approaches and enable them to integrate these approaches through development of clinical reasoning and clinical skills integrating evidence based practice. The aim of this module is to enable practitioners working in teh critical care field to develop an in depth understanding of clinical practice, underpinned by knowledge of the appropriate theory and research, and to promote evidence based practice within the multidisciplinary team thereby optimising patient outcomes. Non-invasive ventilation (NIV) is recognised as an important management strategy in acute hypercapnic respiratory failure. Appropriately trained members of the multidisciplinary team, could set up and implement an NIV service in primary and secondary care. This module will equip the post graduate student with diagnostic, clinical and critical thinking skills in order to facilitate the NIV care pathway. This module will develop and enhance students' ability to manage neuromusculoskeletal conditions of the lower limb. Joint assessment, diagnosis and the development of clinical reasoning skills will be emphasised throughout the module. This module will enable the student to develop the knowledge, understanding and skills to undertake ultrasound imaging of the female genito-urinary system. It will provide the knowledge and understanding to enable the student to differentiate between normal and abnormal ultrasound appearances and to utilise problem solving skills to provide a differential diagnosis. This module will enable the student to gain knowledge and understanding of the scientific and technological principles underpinning the safe and effective use of medical ultrasound in the clinical setting. It enables appraisal of a range of ultrasound technologies to optimise the production and recording of high quality diagnostic ultrasound images. The module enables the student to refine professional skills in order to meet the needs of the ultrasound service user in line with governance principles. This module will enable the student to develop the knowledge, understanding and skills to undertake ultrasound imaging of abdomen and pelvis independently and safely. It will provide the knowledge and understanding to enable the student to differentiate between normal and abnormal ultrasound appearances and to utilise problem solving skills to provide a differential diagnosis. This module will enable the student to evaluate the need to develop good scanning technique and follow protocols to produce technically accurate obstetric ultrasound examinations independently and safely. It will provide the knowledge and understanding to enable the student to differentiate between normal and abnormal ultrasound appearances and to utilise problem solving skills to provide a differential diagnosis necessary to inform the care pathway of the antenatal patient. Advancing Practice graduates should have a focus on how to understand the perspectives of the people who use the health, social, educational, and third sector services. This module provides a context and methodology to ensure that students are truly service user-centric. The output is a service improvement plan of action with rationale and implementation steps. This module introduces the student to the essentials of CT. The skills and knowledge gained will facilitate proficiency in CT imaging of the head, cervical spine, chest, abdomen and pelvis, as well as being able to critically evaluate CT images for technical suitability. The record of clinical training and cases willv effectively demonstrate application of learning in CT imaging. This module is designed to develop knowledge and understanding of the core principles of MR physics, technology and safety. The module also develops the skills of the MR Practitioner for standard imaging of the nervous system with an introduction to image critique and service delivery evaluation. This module aims to build on the knowledge of the previous, with a recognition of the MR radiographer role and influence in the clinical department. Within the topic of the musculoskeletal and abdominopelvic systems students are encouraged to further develop their technical and pathological understanding of MRI. Students will also be given the opportunity to make a service delivery improvement and share this with other departments in order to positively impact the service-user experience. This module enables the student to develop further knowledge and understanding of the role of their specialism in the initial diagnosis, evaluation and subsequent management of patients presenting with a variety of clinical pathologies. The encouragement to undertake effective literature searching and review will facilitate the development of an evidence based practice approach to develop and inform practitioner knowledge. The module is designed to evaluate new innovations and advances in radiotherapy and oncology practice. It will facilitate practising Therapeutic Radiographers to identifying and undertake areas of professional role development whilst encouraging critical reflection and evaluation of current radiotherapy practice. It will aid individuals in their continuing professional development and maintenance of professional registration. Health Professionals need to actively engage and lead on transforming one's own service in light of service user feedback, technology-driven opportunities, economic constraints, professional and service standards, policy-driven directives, system-based analysis, and evidence-led findings. This module provides a creative and energising reflective space where the tools of service re-design can be fully explored and the process and outcome of service change disseminated. (iii) Where applicable be eligible for registration with the Health and Care Professions Council. (iv) Where applicable have continued employment in an area relevant to the chosen modules. (v) Have a minimum of one year's post-qualification experience (excluding course attendance). This is carrried out through a variety of methods and will depend on the individual module studied. Learning is both classroom based and online via discussion boards, blogs, video conferencing and podcasts. Methods of assessment include case studies, class tests, computer based assessments, log books, practicals, online tasks and reflective accounts. Previous experiential learning or certificated learning may be eligible for exemption of modules/credit points within the Postgraduate Certificate, Diploma and Master's. Advice should be sought from the course director. Participation in the postgraduate framework may enhance the opportunities for AHPs within the health service and beyond. The development of the programme was as a direct consequence of the need for profession-specific and interdisciplinary modules to facilitate AHPs in their career progression. Participation in the postgraduate activity will provide the development opportunity for AHPs to progress to doctoral level activity. You must be practicing in your Professional area at the time of study. The following links guide you to the postgraduate modules and courses in the School of Heaith sciences and then to how to apply on line. If applying for a Department of Health commissioned place contact your Trust manager. Do not apply online. If interested in Attendance Only contact Emma McFall e.mcfall@ulster.ac.uk or T: 028 9036 8167. Do not apply online. There is a prize for the Diagnostic Radiography student exiting at Diploma level in Ultrasound.